I can't believe I've been alive for that long either. When I was younger, I always used to hate it when our family holidays went so quickly. It felt like we had only just arrived, but before I knew it we were packing up and heading home. That's when I learnt that time flies when you're having fun. And it has. The last 21 years seem like they've flown by. I remember last year when I feared to leave my teens, and here I am now a whole year in. And how do I feel? Pretty good actually. No one's perfect obviously, but I've come to a point in my life where I'm quite satisfied with where I am. I'm healthy, I have amazing friends and family around me, I'm in a great relationship with a fantastic person, I'm continuously acting, and my blogging isn't going too badly either. To be honest, I do get a few moments where I lose motivation, but I'm surrounded by such fantastic people that I soon get back into things again. Over the past 21 years, I've definitely had some highs and lows, but I've learnt a lot about who I am and how I live. So here are some things I've learnt in 21 years. Throughout school, I always put pressure on myself- with my grades and my friends. I always wanted to do my best and didn't want to disappoint (this is coming from the person who did 5 AS Levels). My parents never pressured me, it all came from myself! I always wanted to be everyone's friend and please people, so would try and get the best grades possible while maintaining a strained social life. Not ideal, especially as some of those friendships were slightly toxic. Everything changed in my second year of A levels. After being bullied by the people I was trying to please, mini panic attacks and sleepless nights over homework I hadn't done, I'd had enough. I started not to care as much. I always knew I wanted to act, and I had my backup plan of teaching at my family's theatre school, so my A levels were not the be all and end all. I stopped stressing over my work and just enjoyed the subjects that I liked. I stopped caring what people thought of me and decided to just be polite to those people who teased me. And I really saw the change. I felt more stress-free and happier in myself, and my panic attacks vanished (I now only get them very rarely). 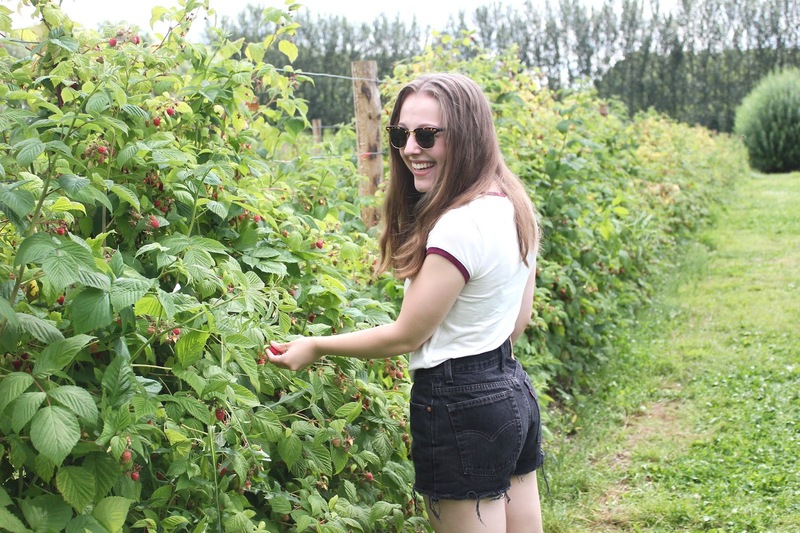 It's been a struggle to not let all this come back in my blogging, but I've managed to fight it and have changed my blogging strategy to help this which you can read about in this post. This has been a hard pill to swallow. I've always treasured my friendships, and I'm loyal to those who stand by me. So when people drift away, it really hurts. I was talking to a friend about this the other day and we both agreed that it's almost like a breakup. You've shared so many memories and experienced so much together that when they leave it's like a piece of you is missing. I knew after school that I would probably lose touch with some of my classmates as that's a natural process when everyone goes off to uni/work and make new friends. But when it's your best friend from birth, that cuts deep. It's taken me a while to realise that it wasn't personal, some people just change. They may even change into someone that you don't recognise. And for a while, I tried to keep that friendship alive, but I just found that I would get walked over and used. It got to the point that it deeply upset me, and that wasn't healthy. With advice from friends and family, I knew I had to cut ties and stop trying to revive the burnt ashes of a lifelong friendship. Now all the bitterness has gone, and a year after the 'break up' I can talk about it openly with people without getting upset. I know some of the amazing wonderful friendships I have can't replace a best friend of nearly 20 years, but I'd rather have those than one friendship where the two of you just don't click anymore. Since leaving school, the amount of opportunities that have been thrown my way has been so crazy! Acting wise I've featured in British and US TV shows, along with attending some fab networking events. With my blogging, I have been taken to festivals, had my makeup done at bareMinerals HQ, attended London Fashion Week 3 years running, and been to some pretty cool events! But sometimes it's taken a lot just to get to them. I'm a confident person, but even for me, the idea of uncertainty can get too much. I know I'll be fine once I'm there, it's the getting up and going that's the trouble as I'm such a home person. What if they don't let me in? So what if they don't, I'll just go shopping instead! I just need to go and get on with life. This may sound like I'm completely contradicting myself, but let me explain. Sometimes you can say yes to everything, be it in your work or personal life, and then you find yourself being stretched to thin. I've learnt that I need a day off from the internet every once in a while, to get back to me and chill out a bit! Also, I've learnt my worth in the blogging world. If a brand won't gift or pay me for my work, I can say no and stick to that. If I said yes to every email that comes my way, I would be giving my time and influence away for nothing. A lot of hours of the day goes into blog posts and videos, and if you're not getting something out at the end result then that's not okay. I know I'm starting to sound a bit like a self-help book, but this honestly works. I've always been confident in some parts of my body, and other parts not so much. It's only in the last 6 months that I've come to truly love every inch of my body. Some of it has been something I've changed. I've been hitting the gym hard and have changed my eating habits and food portions to tone up and I'm so happy with the results! I'll be including more fitness posts on here too so look out for those! Other things I can't change without doing something drastic like surgery, but I'm more than okay with that. I've discovered that I'm unique and awesome in my own way, that I don't need to look like Taylor Swift to be happy (though that would be pretty darn cool). Sure I have parts that I'm not overly in love with, but I've found out that they are my quirks and what make me, me! As soon as I stopped comparing myself to others, I saw myself completely differently. This is one of those little things that has got me through some tricky situations. I'm mainly known for being very smiley, which is not a bad thing to be known as! I find it instantly perks up my mood, even if I'm not feeling that great inside. I almost think of my smile as my secret weapon. If there's someone that I really don't like but have to talk to (for instance in a professional situation) I find smiling gets me through that, almost like my own personal cheerleader. When I'm having a down day, I find smiling at the simplest of things cheers me up a bit. It also means you come across as a friendly, open person even if you're not feeling happy inside. This applies to when I've had a particularly hard day, or if I've achieved something big. There is nothing more satisfying than coming home and opening a bottle of something alcoholic! 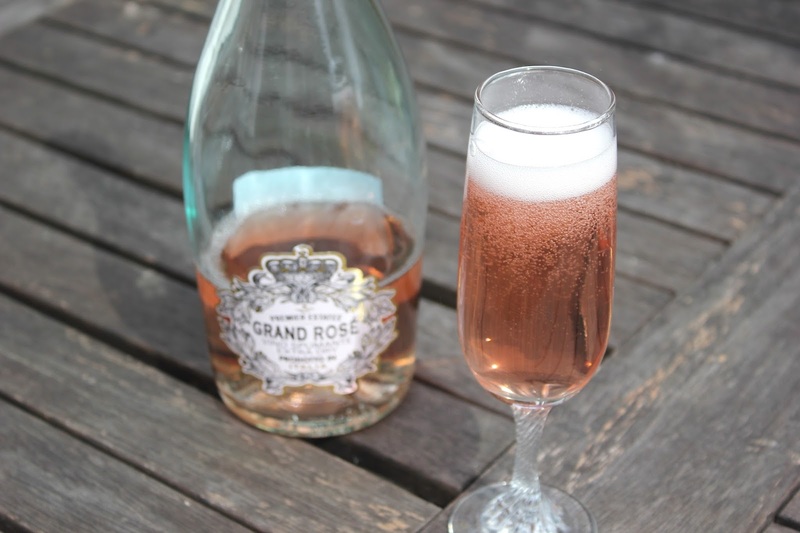 I've never been a big bubbly drinker, but it's now a bit of a tradition at home if I've managed to get a particular acting job that we crack open a bottle to celebrate! I'm a firm believer of being healthy but still allowing yourself little treats, and as it was my birthday last month I, of course, made the whole week one big celebration! 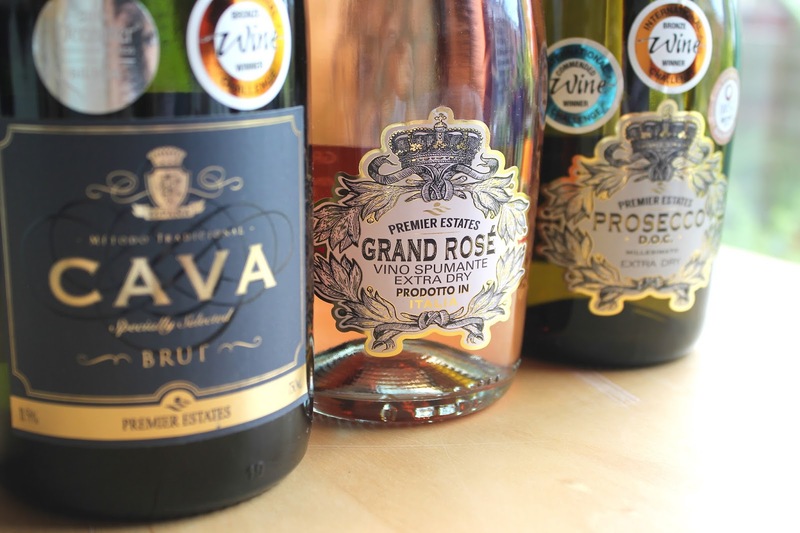 These bottles of goodness from Premier Estates Wines did just the trick, especially the Grand Rose (they had me at sparkling wine, to be honest) and the Prosecco and Cava Brut are great for those extra special occasions. All three even come in a selection together if you want to try all three! Their award-winning wines are really reasonably priced for the quality with prices starting at £3!!!! These are just some of the things I've learnt in 21 years of being on this planet, but if you have any tips that you've learnt about life please let me know below! People have different methods so I love hearing how others deal with stuff. It's such a cool post Georgie! love these type of posts of yours and massive YES to the fitness posts! Great post! Lots of lessons learned! And yes to ditching toxic friends who think it's okay to use and walk all over you.